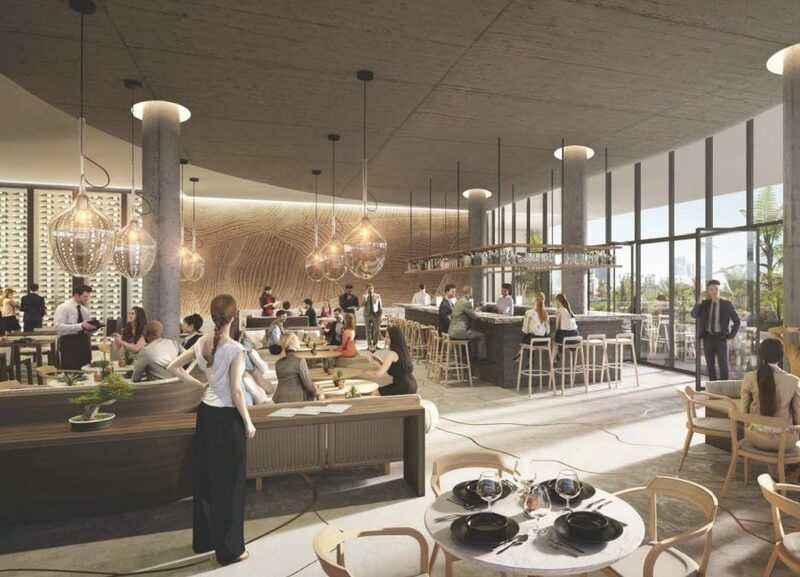 At the very popular intersection of Lincoln Road and Meridian Avenue, a rooftop restaurant is planned at the newly rebuilt 800 Lincoln building. 800 Lincoln was originally built as the first Burdine’s in Miami Beach, and was the home of ArtCenter for decades. It was rebuilt by developer TriStar Capital over the past few years, with Skechers soon to occupy the ground floor space. Now, a restaurateur has submitted plans to open in a rooftop addition built by Tristar. Mila Miami will serve a mix of Japanese and Mediterranean cuisine, prepared by Michelin-starred chef Thierry Marx. The restaurant will include a total of 247 seats, with 150 seats indoors and 97 seats on a rooftop deck. There will be bar areas both indoors and outdoors, both of which will remain open until 2 am on weekends.